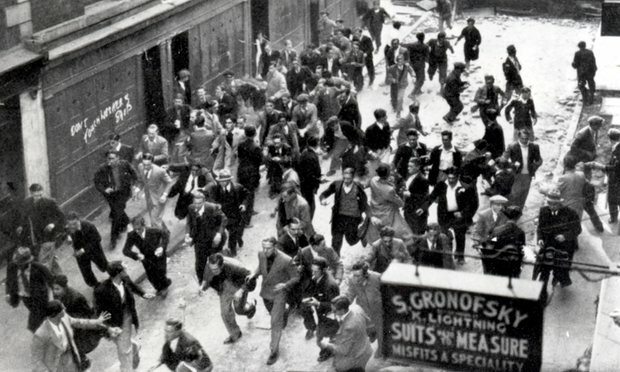 David Rosenberg provides a snapshot of the London Yiddish radicals in this essay. All eyes are on Feigenbaum. He forensically deconstructs philosophical and scientific aspects of belief, and questions the alleged interventionist powers of religious deities. Then he gets to the crux. Feigenbaum gives God two minutes to “to kill me on the spot so that he may prove his existence”. He counts down theatrically then declares triumphantly. “See, there is No God!” A band strikes up the “Marseillaise”, after which Feigenbaum announces a location nearby where hungry workers could feast instead of fasting. 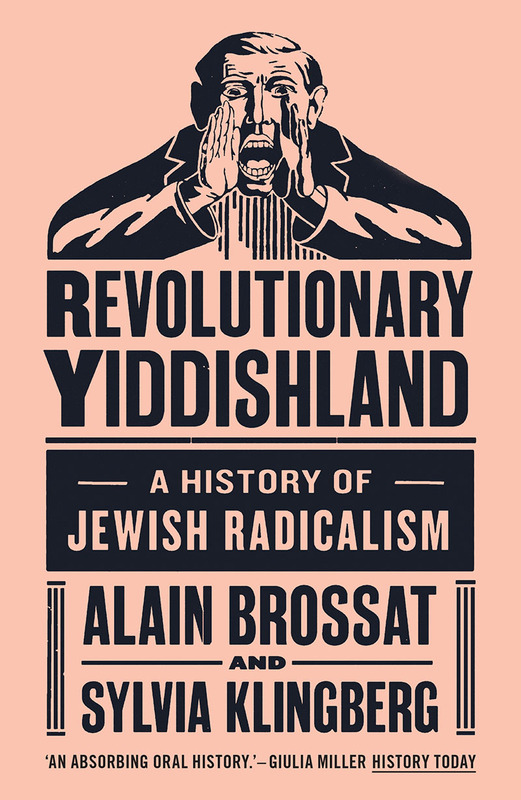 If Bundists, Communists and left-Zionists were the three components of East Europe’s revolutionary Yiddishland , in London and in New York, where Feigenbaum emigrated on to – a fourth element was present: Anarchists.. At the turn of the 20th century in London’s East End, around 150,000 Jews lived and worked within one square mile, primarily as tailors, boot and shoemakers, and cabinet makers. From the 1880s until the Russian Revolution of 1917, the anarchists were the most active and widely supported radical force in that community, and Feigenbaum was one. They unionised workers and led strikes, often reducing hours and improving pay. They established International Workers’ Education Clubs, where workers could socialise after long sweatshop days, with cheap food and (non-alcoholic) drink, play chess or dominoes, read books and newspapers, and at weekends attend lectures and concerts. But most importantly, the anarchists published several thousand copies of a weekly Yiddish newspaper, the Arbayter Fraynd (Workers’ Friend). Other radical currents produced newspapers too but the Arbayter Fraynd led the market. It provided a mirror for the workers who saw their own lives reflected in its pages. It told them their their circumstances could change, and that they, the workers, were the agents of change. The Arbayter Fraynd inspired them in their struggles gave them hope. The newspaper’s founders included social democrats (Marxists), socialists, and anarchists, but by the early 1890s anarchists were the dominant force. They established good working relationships with non-Jewish anarchists both indigenous and émigré, including Charles Mowbray, Peter Kropotkin, Errico Malatesta and Louise Michel. In 1898 the Arbayter Fraynd appointed a German political exile and bookbinder, Rudolf Rocker, to edit the paper. Rocker, brought up in a Catholic orphanage in Mainz, arrived in London in 1895. He soon found out about the sweatshop conditions through his lover, Millie Witkop, a young Ukrainian Jewish immigrant. Rocker learned to read and write Yiddish and dedicated the next period of his life to organising among the immigrant Jews. In 1906, Rocker’s Arbayter Fraynd group established the Jubilee Street Club which, in addition to nightly gatherings, held adult education classes inspired by the pedagogy of the Spanish libertarian educationalist, Francisco Ferrer, and ran an anarchist Sunday School for children. The newspaper was printed next door. Between 1898 and 1914it appeared every week. In 1914 Rocker was interned pending deportation as an “enemy alien”, and in 1916 the government shut down the Arbayter Fraynd among several radical newspapers it suppressed in wartime. When the Russian revolution broke out, many East End Jewish anarchists returned to the old country they had never really left behind, to play a part in the dramatic changes there. They never came back to London and the remaining Jewish anarchists struggled to renew their membership, leaving a vacuum for other left wing forces to fill. Bundists were relatively thin on the ground in London as compared with Paris and New York, but they played a major role in creating the Arbeter Ring (Workers’ Circle) mutual aid/friendly society in the East End in 1909. A Bundist, Morris Mindel, like Rocker was a bookbinder by trade. He chaired a group including anarchists and socialists that established the Circle. While unions fought for better conditions in individual workplaces, the Circle organised joint activities across occupations to strengthen secular Jewish working class life and culture in the East End. Other friendly societies at the time were often boosted by an initial injection of philanthropic money, but the Circle stuck firmly to its principles of doing everything from its own resources and from the bottom up. It collected weekly subscriptions from members to fund its initiatives. Its most basic economic role was providing benefits for members facing great hardship. Those who were long-term unemployed through illness could draw benefits. Those suffering bereavements could arrange secular Jewish burials through the society. By the late 1920s and early 1930s, the Communist Party (CP) had established a significant presence within the Circle and within the East end as a whole. Hundreds of Jews were joining its local branches especially within the Stepney area where Jews were most concentrated. A larger hinterland of Jewish fellow travellers regularly read the Daily Worker established in 1930. Many officers within local CP branches were Jewish. Sarah Wesker, who led a series of strikes among trouser makers, and the first women’s officer of the East End based United Clothing Workers Union. She was also one of very few women elected on to the National Executive Committee of the Communist Party in 1932. The CP gained high prestige among the Jews for its pivotal role in the dramatic Battle of Cable Street in October 1936 and the alliance it was able to facilitate among Jewish and non-Jewish workers, especially Irish dockers, against Oswald Mosley’s fascists. The victory in that battle was cemented by co-operation in housing campaigns through the Stepney Tenants Defence League, in which Jewish and non-Jewish women played leading roles. The Labour Party locally may have seemed a more natural home for the wider layers of less ideological Jewish workers, but in Stepney the Labour Party was largely controlled by a tightly-knit Irish Catholic clique who were unsympathetic to Jews. The gulf between them was illustrated when the Spanish Civil War began. Some 200 Eastenders went to Spain to fight for the Republic. Jews made up around half of the 36 East Enders killed there. But several Catholic Labour councillors expressed sympathy for Franco because Republicans opposed the churches. The Labour Party locally had a more radical youth section – the Labour League of Youth (LLY) – but after the Battle of Cable Street many LLY members gravitated to the Young Communist League. Zionism remained marginal to these developments. Poale Zion led a couple of Workers’ Circle branches and some Zionists took part in the campaigning work of the Jewish People’s Council against Fascism and Antisemitism – a militant grass roots body with wide support locally, that was more heavily influenced by the non-Zionists/anti-Zionists of the Communist Party. The East End was heavily bombed in the war, and its communities were dislocated in the aftermath. The Molotov-Ribbentrop pact of 1939 caused much political upheaval and alienation too, and yet, in 1945 the largely Jewish constituency of Mile End elected Phil Piratin, a Jewish communist, as its MP.